England batsman Kevin Pietersen will be up for grabs in Australia’s Big Bash League after Cricket Australia were given the green light to allow the tournament franchises to sign him. However, Pietersen will only be able to play in the Big Bash League if his current relationship with the England and Wales Cricket Board (ECB) does not improve, or if he is allowed back into the country’s Test squad after being dropped. Pietersen was dropped after it was found that he had sent derogatory text messages about his team-mates to South African pace bowler Dale Steyn and wicketkeeper AB de Villiers during the recent Test series. Big Bash League boss Mike McKenna stated that if Pietersen were to be signed, he would have to make sure to stay “in the right frame of mind”. Once Cricket Australia were given the green light, the Melbourne Renegades and Sydney Sixers immediately expressed their interest in signing the flamboyant English batsman. In order to get his career back on track, Pietersen stated that he would return to playing all three formats of the game for England and stop giving priority to domestic Twenty20 competitions like the Indian Premier League (IPL). 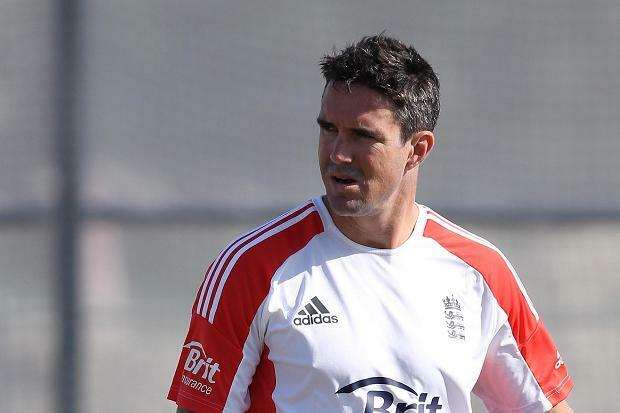 As of right now, the ECB are yet to respond to Pietersen’s comments. This entry was posted in Uncategorized and tagged AB de Villiers, all three formats, Big Bash League, cricket, Cricket Australia, Dale Steyn, derogatory text messages, ECB, England, green light, IPL, Kevin Pietersen, Melbourne Renegades, Mike McKenna, right frame of mind, South Africa, Sydney Sixers, Test squad. Bookmark the permalink.